This is an interesting topic which is often debated – is motivation or discipline more important in achieving our goals? Often we can misunderstand the terms ‘motivation’ and ‘discipline’ and use these interchangeably. However, their meaning and role in behaviour change are actually very different. When it comes to health goals, it is important to identify what drives us (motivation) and then use that drive to build healthy habits (discipline). Motivation is what we need to be inspired to make a change. It is worth reflecting on what motivates you to want to make changes in your life that will benefit your health. What have been the main things that motivated you to consider making changes? Do you want to improve your energy levels and feel confident in yourself? Or perhaps it has been your family and the people around you encouraging you to make healthy changes. These are interesting questions which centre around the idea of what motivates us, or ‘why do we do what we do?’. Psychologists have determined two different types of motivation that explain our behaviours and how we pursue goals: intrinsic (from the inside) and extrinsic (from the outside). This occurs when we are motivated to engage in an activity or perform a behaviour to earn a reward or avoid punishment. We’re not choosing to do the activity because we enjoy it or find it rewarding, but rather because we’ll earn something in return or avoid something unpleasant. Examples of extrinsic motivators are things like a monetary bonus or pay rise at work if we hit specific key targets, competing in sporting competitions for trophies, coming into work on time, so we don’t get reprimanded from the manager or losing weight so we can look better in our clothes. This involves engaging in behaviour or activity because we find it personally rewarding. Intrinsic motivation plays off our internal interests and values. It means we perform these tasks for our own sake, and are invested in the process, rather than the reward. We see the behaviour itself as its own reward. Examples of intrinsic motivators include doing a workout in the morning because it feels good, solving a puzzle because you enjoy the challenge, or choosing healthy meals because you enjoy cooking them. Research has shown that people who are intrinsically motivated tend to maintain their healthy changes in the long run, as opposed to those who are only extrinsically motivated. What we know is that extrinsic motivation usually doesn’t last forever and will eventually wear off. It’s unrealistic to rely on this motivation alone to achieve our goals. This is where discipline comes in. The most successful people use a combination of discipline and intrinsic motivation to achieve their goals. When we refer to discipline in this context, we mean training yourself to behave and work in a controlled and regular way, or essentially, build healthy habits. Studies have shown that people who demonstrate good self-discipline or willpower, also tend to have good habits. These people structure their lives in a way that they avoid having to make a decision based on willpower in the first place. When you don’t feel like doing something, your willpower will be low, so we can’t depend on that. People who do the same activity, for example, meal planning every Sunday or meditating for 10-minutes each day, find accomplishing their goals easier, not because they have good willpower, but because their routine helps them. Humans are creatures of habit, and habit formation takes discipline. When we begin something new, such as going to the gym or meditation, we need to focus a lot of brain power on it because it’s unfamiliar and we’re learning a new behaviour. As we continually practice this new activity, we devote less and less conscious brain activity to it, and it eventually becomes automatic. There are plenty of automatic habits in our daily lives that are now second nature, such as brushing our teeth or driving the car to work – we don’t even think twice about these. Research suggests it takes 66 days to form a new habit and for this behaviour to become automatic. Therefore, you would need to practise meditation, for example, every day for around two months before this behaviour becomes second nature. In order to make our healthy changes last in the long run, we need to turn these from initial changes based on motivation, into habits based on discipline. 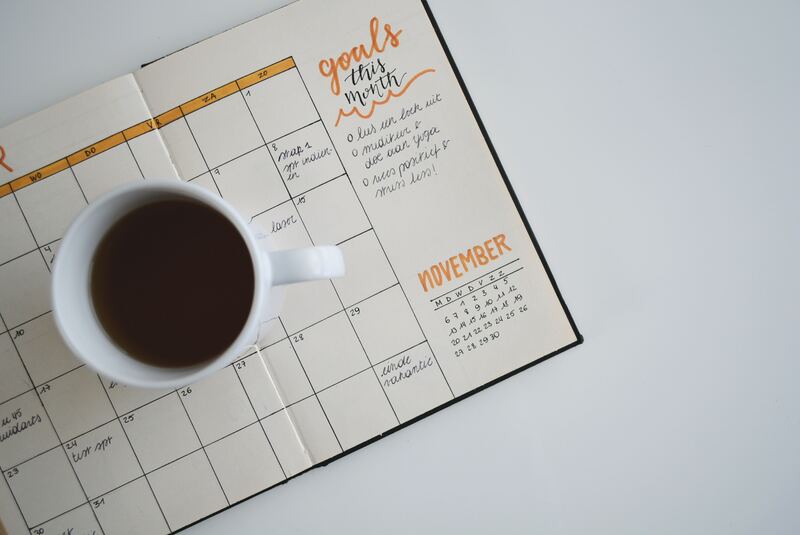 When starting a new habit, it’s best to set a small goal first, to help your brain learn and focus on this new process. For example, rather than setting a goal of going to the gym every day for an hour, you could start with going to the gym every day for a fortnight, for just 5-minutes at a time. It takes discipline to put your gym clothes on, get in the car, drive to the gym, and walk inside. Although it may seem pointless, it’s worth it! You’re actually setting down the groundwork to create a good daily routine. Eventually, once you’ve achieved this first goal, you might feel like increasing your workout time to 10-minutes, then 15-minutes and so on until it becomes a habit to do a full workout at the gym. As we mentioned earlier, research has shown that the most successful people use a combination of discipline and intrinsic motivation to achieve their goals. Discipline will help you to form your healthy habits; however, we also know that people who exhibit the most self-control, actually enjoy the habits they pursue. It appears this is the winning combination. When deciding which healthy habits you would like to implement, it’s important to think about how you will get enjoyment out of this activity. If your goal is to exercise more, pick an exercise you enjoy doing, and then set small goals to build a good routine. Keep in mind that as you improve your fitness levels, you might start to develop intrinsic motivation to exercise because it makes you feel good. So, while the extrinsic motivation might get you started, it’s the combination of discipline and intrinsic motivation that will stop you giving up. Motivation is what we need to be inspired to make a change. Motivation can come from within (intrinsic) or external factors (extrinsic). Extrinsic motivation is more of a short-term drive, for example, a monetary incentive at work, but might be good to initially motivate you. Discipline, in this context, refers to training yourself to behave and work in a controlled and regular way, or essentially, building healthy habits. It can take around 66 days to form a new automatic habit. Intrinsic motivation and discipline is the winning combination for achieving goals.